Beretta A300 12g, a real surprise! Congratulations to the The Crown and in particular Dave, who led The Crown to victory in round 4 and snatched a decisive win from the John O’Gaunt. Have the mighty fallen? With the talented Fez on a rare off day and Phil on a Stag do, have we seen a chink in the JOG’s armour? Who knows, but it makes round 5 all the more worthwhile turning up for! The shoot took place on a beautiful summer’s morning, once again hosted by Des from Acorn Shooting School in the stunning surroundings of the Compton Manner estate. We are so lucky to have this gem of a place on almost our front door steps and again in having Des so keen to promote local shooting competitions. This month’s course proved tricky with a surprise rabbit from a high stand and an ugly looper and left to right crosser proving the enemy of many a shot. 3 simo pairs challenged further and some very cunning uses of the undulating ground proved tricky with range estimation on the stands toward the valley. In all a taxing yet extremely rewarding set up. With the new scoring system of the top 3 scores of those pubs present, or those members present, if only 1 or 2 guns from 1 pub have made it, we have opened the gates to discovering new top talents whilst ensuring those that are still growing feel welcomed and utterly part of it, but not holding anyone down! The 4th round saw numbers at a very respectable 29 guns which, with so many off holidaying and the entire Three Cups Stockbridge team missing, pushes the estimated guns total for round 5 to near 40 +. We should also be seeing at least 1 more Pub, taking the total ever up! If you are reading this and are interested in either starting or joining a team, then email us at hello@hampshiresportingshooter.co.uk. We can either advise you on who is coordinating your pubs team, or if your pub isn’t represented, then you can be the start! Remember, it only requires one of you to turn up for the pub to be included! There is utterly no shame in sporting a team of 1 or 2 or 15! The pubs overall clay count is simply divided by number of team members and voila, your overall score! It’s much more about the fun than the first place, but it’s even better to win! 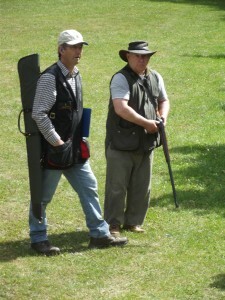 Please get in touch with us at Hampshire Sporting Shooter or via twitter @ShootHants to register your pub! 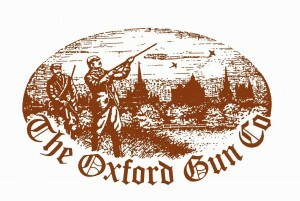 In keeping with demand we have started to include a Top Gun section on the league page at www.hampshiresportingshooter.co.uk listing the three highest scorers along with total Pub scores, giving all that enter the opportunity to spur their pub along. Everyone and all are welcome and made to feel so. Please join us for a brilliant morning! Jack Pyke – Fun in the freeze!